Raised in Jackson, Kentucky (Sturgill Simpson’s hometown), singer-songwriter and genre-bending guitar blazer, Jeremy Short, has quickly risen to the top shelf of must-hear players. Short was raised in a musical family where music poured out everywhere – at church, the piano, the dinner table – you name it. The son of a rock ‘n’ roll drummer, he first found his professional groove as lead guitarist and frontman for the R&B horn band, Downtown King, and the lead guitarist for Sasha Colette’s red-hot Americana backing band, The Magnolias. Now armed with his own water-tight rhythm section, the twenty-something rounds out Short & Company with the talents of Trevor Litteral (bass, backing vocals) and Taylor Jones (drums, backing vocals). While Short and Company have built blue-collar audiences, electrified crowds in Memphis, and bested hundreds of bands to make it to the semi-finals of the International Blues Challenge, they’ve also quickly become a favorite in the regional festival and club scenes. Influenced by a wild-eyed range of guitarists such as Frank Zappa and Robin Trower and blessed with sweet Southern flowing vocal soul, Short — and his lock-step Company — testify that there is still plenty left to be added to the great scrolls of soul-shined Southern Rock. Short released his first solo EP, Songs From the Chicken Shack, in January 2014. Although it was one helluva stringer full of country-fried Delta-slide blues keepers, recording it was vastly different from recording his debut record, ‘Lost in a Spin’. 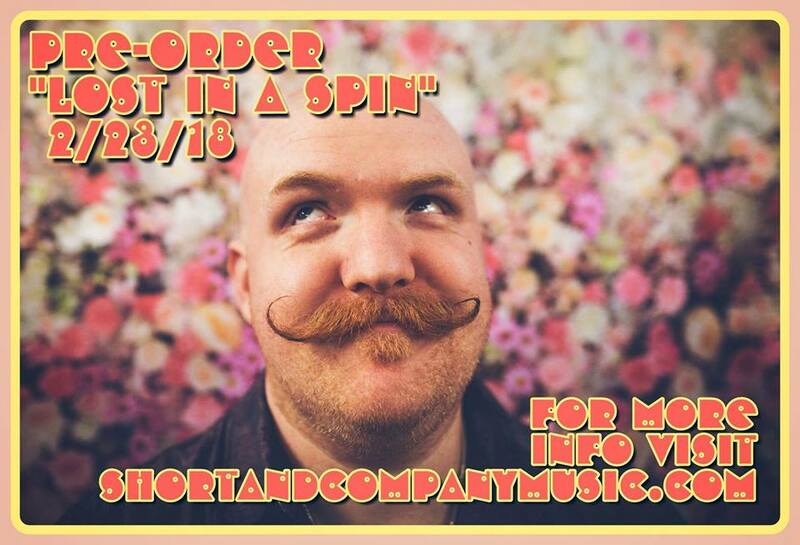 It won’t surprise you that Short & Company’s ‘Lost in A Spin‘, due out March 29th, somehow – no, without question – finds the perfect balance between love ballads that make you want to cry and club hits that’ll have you dancing all night.